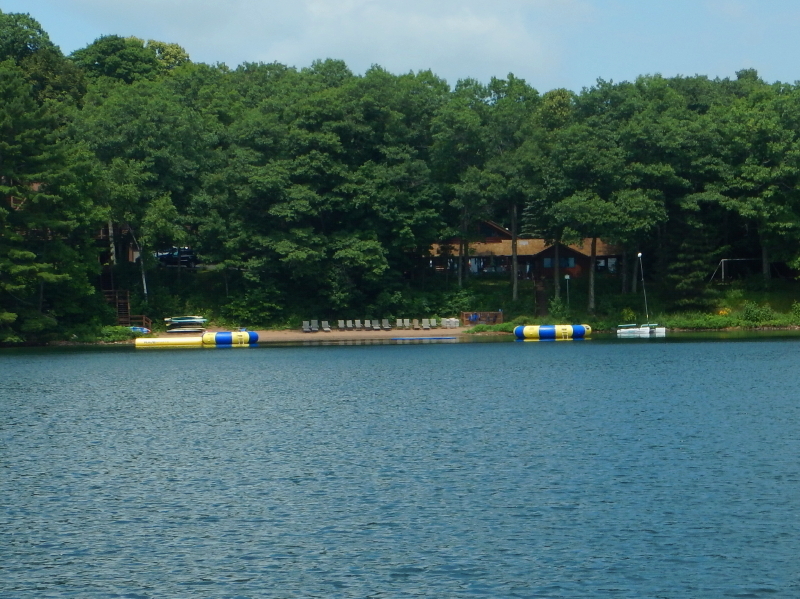 There were so many highlights of our weekend at the lake over the last three days that I am simply going to fill today’s post with some of the images depicting different moments from our adventures. 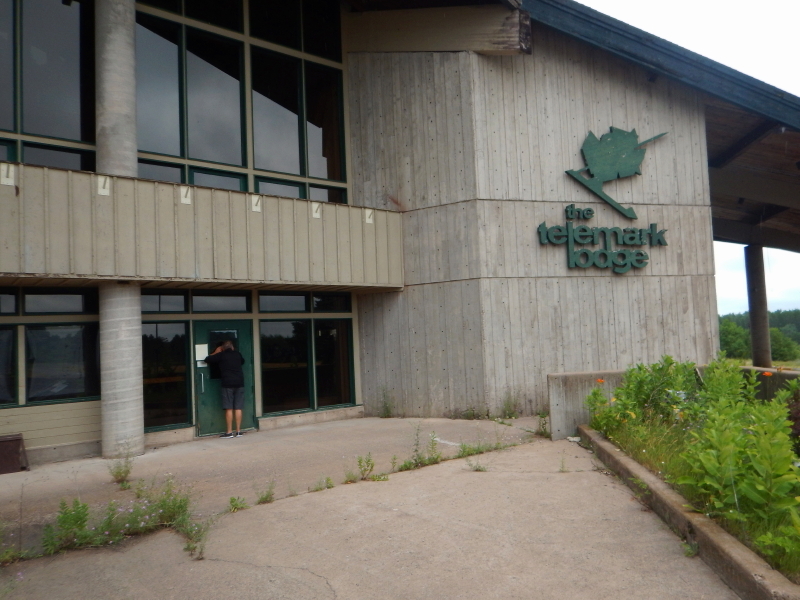 We were out visiting artistic retail shops in quaint Cable, WI, on Friday and decided to make the short drive further on to see the abandoned resort, Telemark Lodge. 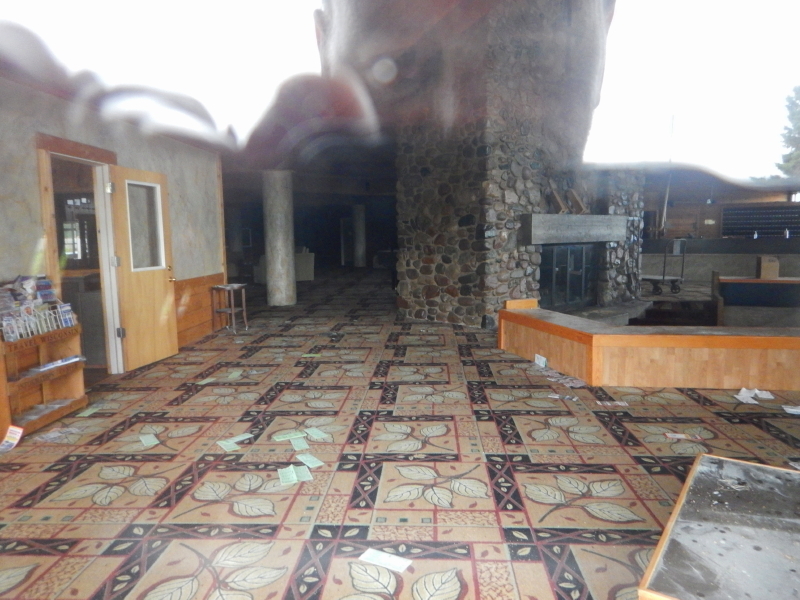 Peeking in the windows, we noticed head-height smudges on the glass that showed we weren’t the first ones to do this exploring.The facility had been through multiple bankruptcies and left abandoned for years. It looked like someone chained the doors and just walked away, leaving everything as it was. It was intriguing to see the level of incidental decay of portions of the roof and fascia, the hazardous looking green of residual water in the pool, and the weeds growing through every crack in the concrete walkways. We got out onto the lake, where the view back toward the empty beach looked like a resort with beach chairs prepared for the day ahead. 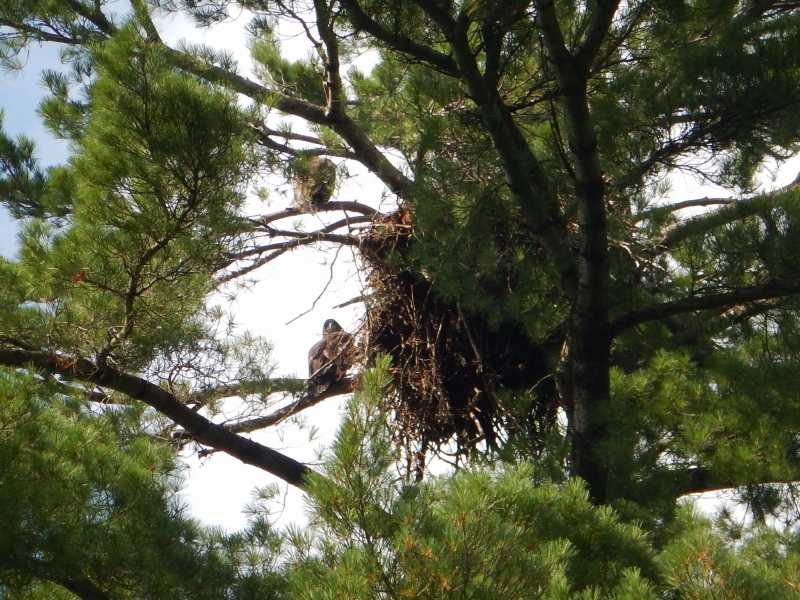 A walk down the driveway provided a chance to glimpse the juvenile bald eagles perching on branches beyond their nest. Flight can’t be far off for these two. 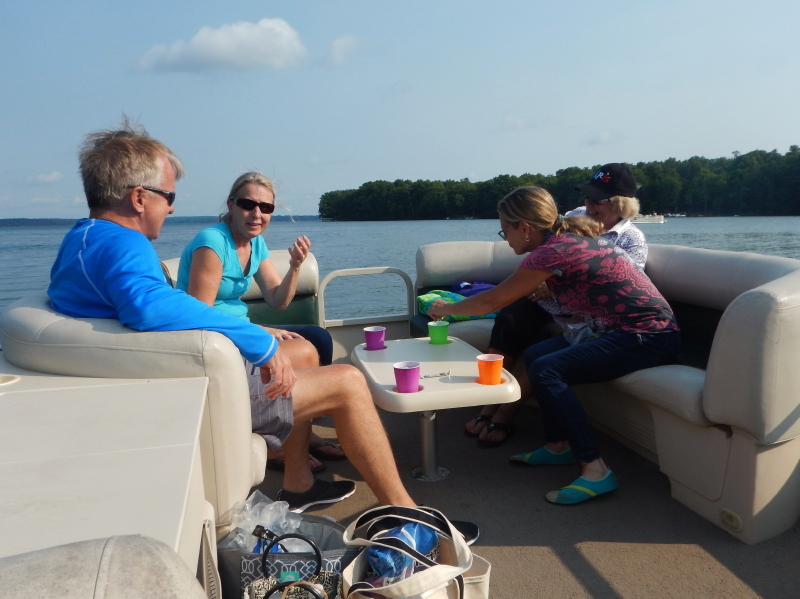 On Saturday afternoon, we got out on the lake for a short happy-hour cruise. 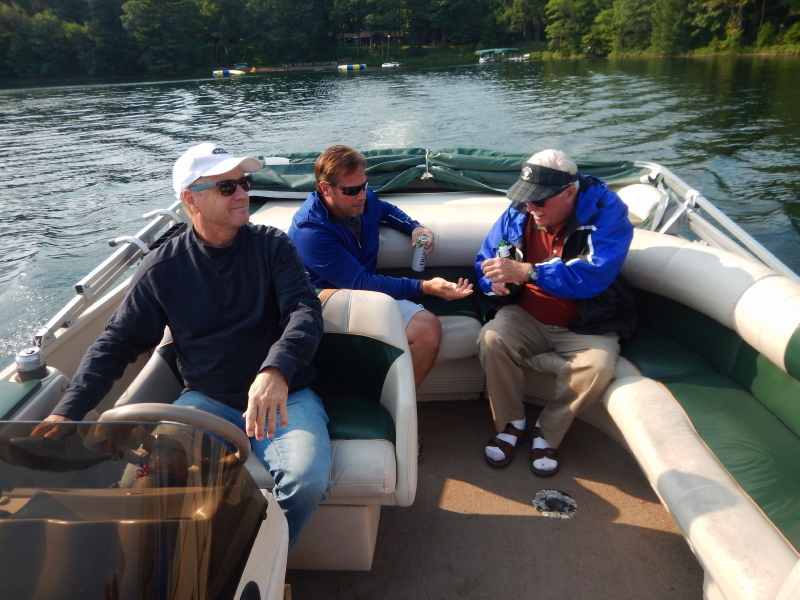 It was a fine weekend for boating. 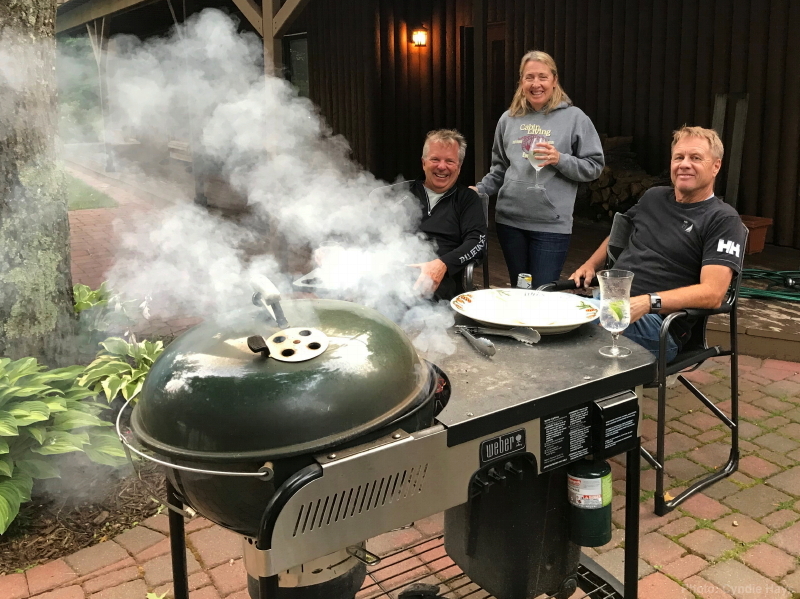 Back on land at dinner time, the Wilkuses provided pork chops for the grilling. 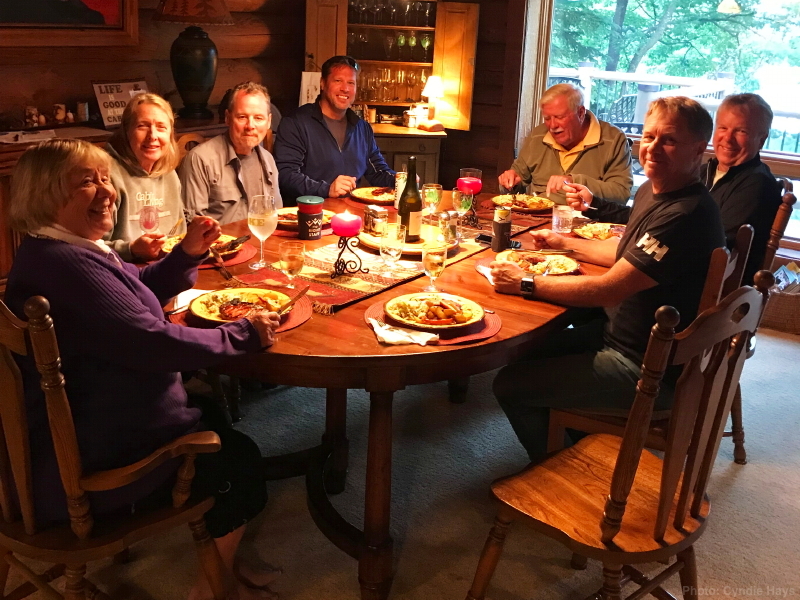 Feasting is a regular opportunity with Cyndie’s family. Barb and Mike fit right in. 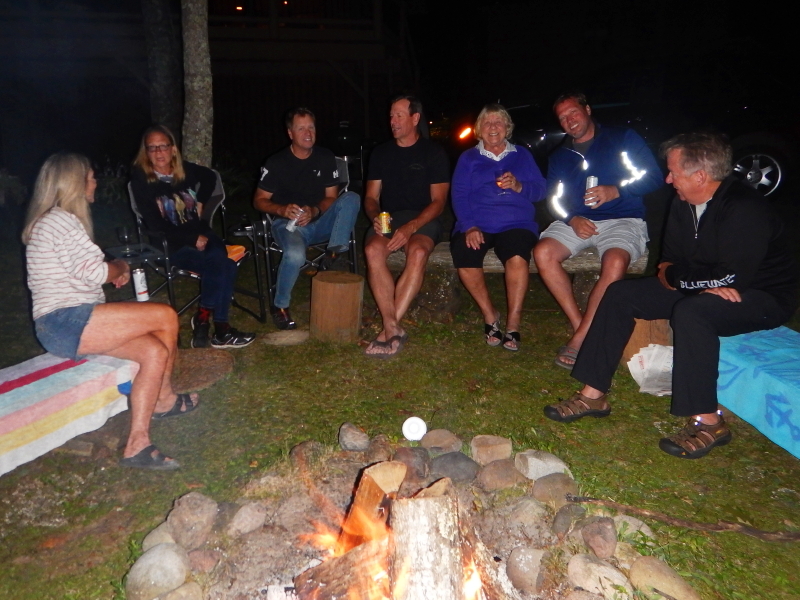 After dinner we gathered with company around the fire to enjoy the sounds of a wedding reception a few properties down the shoreline from us. Unfortunately, the sound didn’t travel our direction, and we barely heard a note. Not to worry. 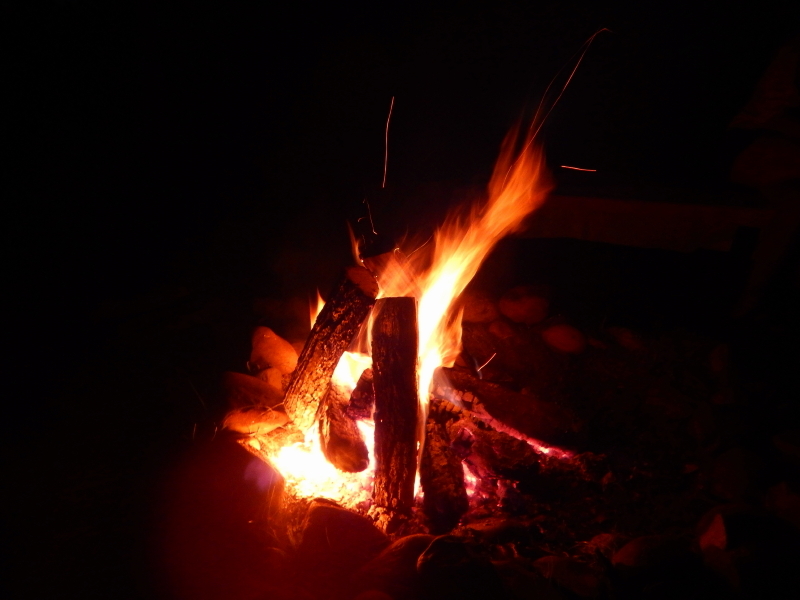 We put on our own music and lingered long around the mesmerizing visual of burning wood. It was a picture-postcard perfect summer weekend at the lake with friends and family that I’m hoping will linger in my mind for many days, despite returning to the responsibilities of day-job and home chores. Home life is what makes going to the lake that much more special!